I’ve created a color profile for the LED displays on most recent macbooks. I think it works a lot better than a standard RGB (too cold) or a Generic LCD (way to hot). So this is basically a custom sRGB IEC61966-2.1 D55 ish profile, that I find gives natural and rich color for photo work and other CG activities. Just to make one thing clear: I do not follow international politics much. I’m more of a philosopher, as I must say that this democracy is a joke. If change is your thing, the steps needed to turn is vast and unreachable. So what is democratic about that? I would like it if decisions concerning the reputation, future and well-being of the country in questions where polled from the actual human beings LIVING in the SOCIETY, not by a choice group of suits living in a concubine of artificial safety and total isolation from reality. Enough politics. 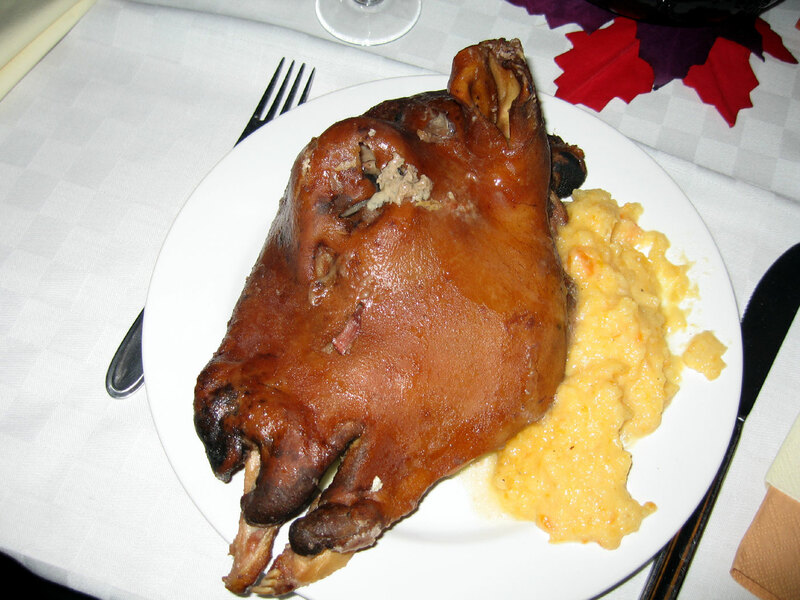 I think the reason that President Obama turned down the invitation for lunching with the King Of Norway had to do with the fear of getting served a traditional dish from Norway called “Smalahove”. New Maya 2010 Debian/Ubuntu based Install Guide? I’ll try not to get to get off-beat or totally far-out, but I’m in the creative writer mode. You’re hereby WARNED. I read a comment at my Madman blog today, that made me feel all warm and cozy on the inside. Moving on… The thing I was topic-flamer for, this post. I know there are many out there that would go far to get a real, no fuzz .pdf to print and follow with pictures and all, while GETTING MAYA TO RUN on their GNU/Linux machine calculating and crunching ones and zeros with a Q7 64-bits QuadCore CPU, mounted on a motherboard with 3K*Mhz FSB, dual CPU slots, so you’ve decided to buy two, giving you 8 Cores for lightening fast bit-crunching while rendering the latest reel. Topped with the latest NVIDIA® Quadro® Plex 2200 S4 dedicated visual computing system (VCS) humming in the closet. The thing is, Maya 2010 isn’t 1 application anymore, it’s three separate packages, semi-crossed and stress-developed (by underpaid programmers, working in polluted office environments) to work seamlessly. So, naturally, the conversion from .rpm, involves some knowledge about how to read the package descriptors in the .rpm’s, and possibly creating a specialized script for creating the .deb installers using Alien as the back-end, so that they wil place and link the package correctly. Things might seem to work until you try rendering in MR with a new option, causing the application to SEGFAULT. It’s not the correct use of the words “Complete” or the word “Unlimited”, as a way to describe escalating possibilities between two products. I suspect this naming convention to be the problem here. Boss says: “Hey!, I’ve looked up the word “complete” and “unlimited” in a thesaurus this weekend. We need to re-brand, and we need to do it fast!! The words actually summons the same in all but the slightest context digressions! The word “complete” means, like, “nothing more to add”, “finito”, nothing more to add. But we’ve made an “Unlimited” version as well as “Complete”, and it adds stuff. A lot! This is insane! I’ll fire the 200 people employed with marketing, and the rest of you: think fast! We need ONE version of Maya, and this time, we’ll prefer the safe way. Let’s just call it “Maya”, plus maybe, hey, 2010 is coming up right? Let’s call it Maya 2010, and release it in 2009! That’s more like it! Nobody is going to make us look like illiterate fools! The thing is, there is actually, besides from some statically linked lib files that needs to be updated to newer versions, not much keeping you from installing the Binary, closed source software, using a package scheme converter like Alien. This doesn’t directly touch the users of the software, because, as in the case with Autodesk, the software is delivered in installable packages, that places statically linked lib files along with the binary ones (so they know that the client will be using the right version when upgrading their operating systems, something that makes relying on native language and library support impossible. But, these are just packed with different package format schemes, and those are not binary. The content is. If you find a way to extract the files from a .rpm package and then into a .deb package that in turn does the same thing, placing files where they belong, and creating different links, etc (also known as “Installing”). I wouldn’t consider myself a deep level hacker to make use of tools that are readily available for these tasks. But, then there is a problem. You need to do all this “by hand”! A roll-your-own-spliff software installation, and it needs to be punced in as “commands” in a shell environment! What I’m trying to say is that with a LPI level 1 GNU/Linux knowledge under your belt, you should be able to decipher this task at hand. If you try to follow exact step-by-step instructions, without having a clue what or why you’re issuing these cryptic looking commands, you’re most likely to fail. There is no such thing as an identical system. You might get a kernel panic, after you ruthlessly renamed or moved an actual system-file, (“Hey, the name was ALMOST the same!”) as in the guide! But the file wasn’t statically linked, but the actual code containing instructions for reading the instructions to operate your graphics card. I must say that most of the problems I’ve seen reported and tried to answer on this post, is a result from, and belongs to the mentioned kind of “misbehavior” against your darling computer. So, if I’m going to write a complete hands-on guide for installing Maya 2010, it will take plenty of time and effort, not to mention installing the thing on different versions of GNU/Linux distributions. So, I will not make a guide for free, covering the ins and outs of this process. There are three applications involved, and a slight error in one install, might corrupt another. BUT, If there are enough people out there willing to pay me $5 each for doing this, I’d consider doing it. Then it would be a labor, and the quality of the guide would be accordingly. So. If that is something you would like to purchase, please send me a Gmail containing the words MAYA PDF as subject in the message. Then, I’ll get to it.